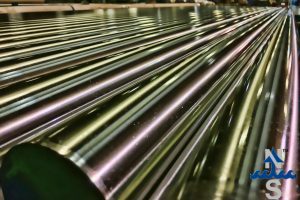 Northlake Steel routinely produces precision case hardened steel linear shafting to tolerances as tight as .0002”. Starting as small as 0.158″ (4mm) and moving all the way up to 12” diameter with lengths to 75’, Northlake offers the largest size range available, standard and metric, from a single source. Many sizes are available for immediate delivery, and special sizes can be produced to your specifications. With two induction heat treating lines for bars and tubes, we can easily handle round products to 12” diameter. 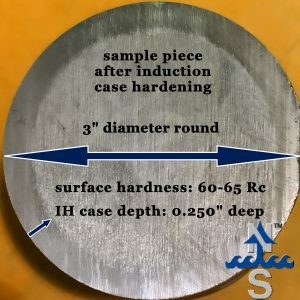 We produce shallow or deep case depths and we can selectively harden bars or tubes where needed instead of the full length, so that areas that do not require hardening are easier to machine saving you time and money. We will also be happy to process your material – just call our sales department for a quote at 888-278.4682. Click here to view our Linear Shafting inventory. Contact us to learn more about our Linear Shafting products and services. Click here to read even more about Linear Shafting and other cold finished bars.